Since 1941. Let that linger a moment, 19.41. This is Chicago’s oldest steakhouse; a steakhouse that holds an immeasureable amount of family tradition and one that is true to their reputation of excellence, not only for fine steaks, but incredible service as well. 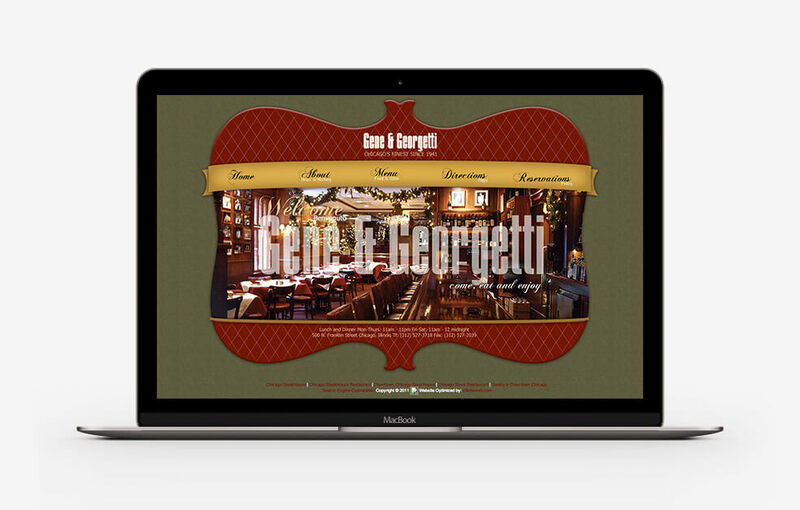 Gene and Georgetti required a complete website design overhaul to better represent them. Building on their already prominent and well-known brand, we relied heavily on imagery to complete their website redesign. 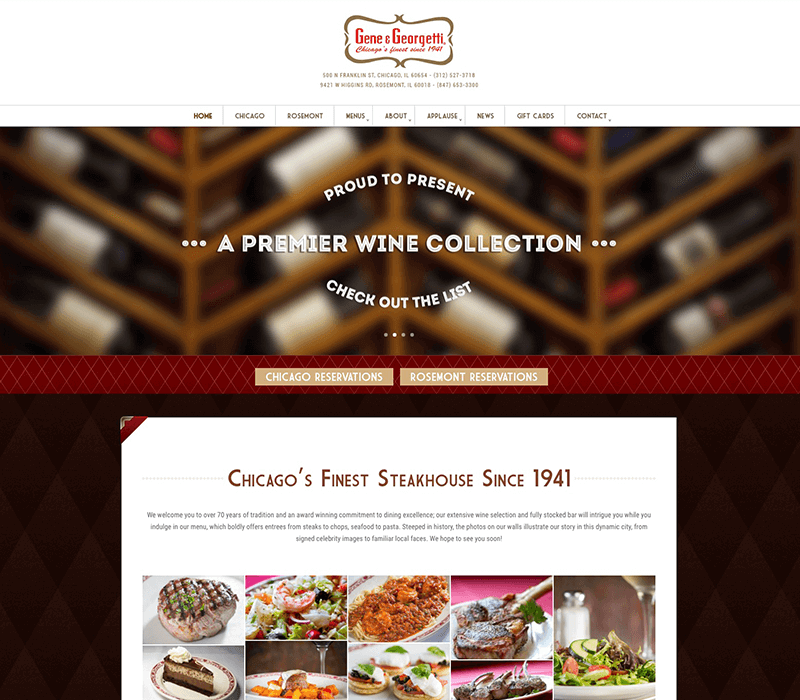 The result is an aesthetically pleasing and easy to navigate, graphic and content-rich website worthy of representing Chicago’s favorite steakhouse. 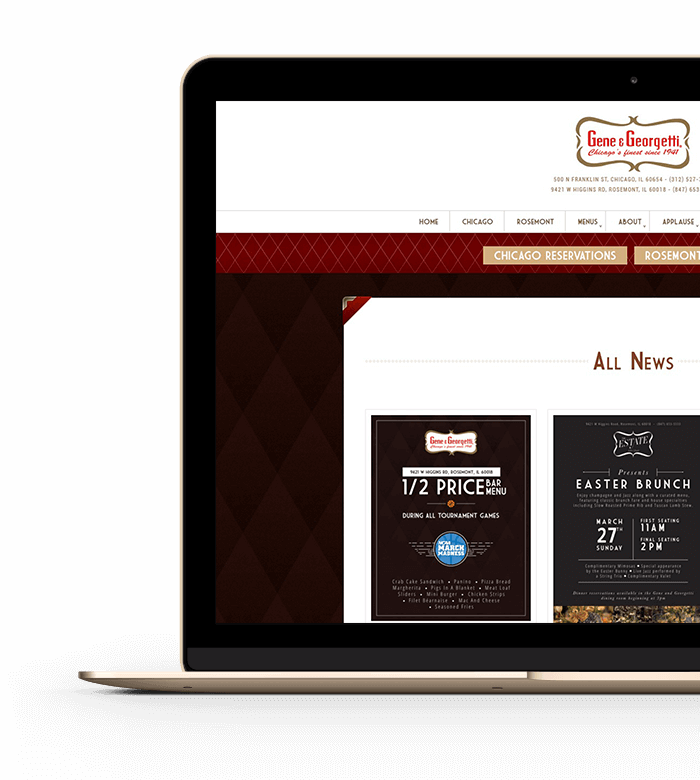 Part of our mission was to create a website that would effectively convey Gene and Georgetti’s rich history and reputation for being Chicago’s go-to steakhouse. A filterable press page containing mentions of Gene and Georgetti in the press, as well as exclusive features and awards among other significant accolades helps establish credibility and further exemplifies their reputation. 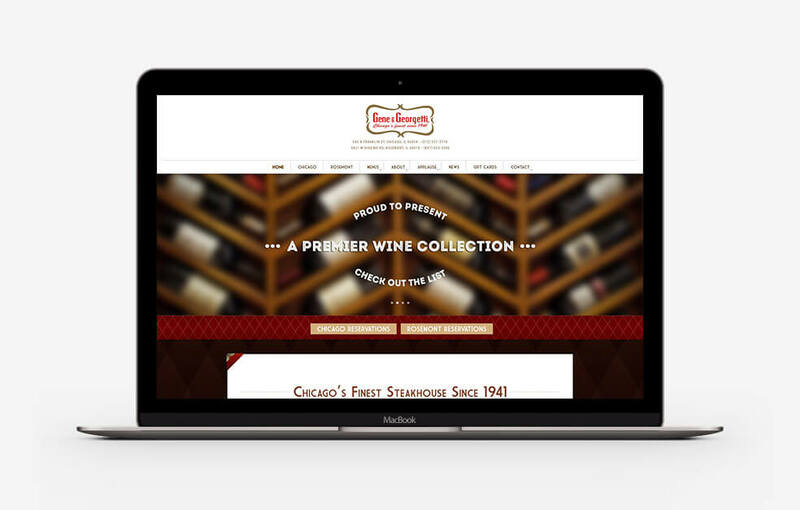 It was also vital to incorporate ongoing news and information, to accomplish this, we included a blog that allows Gene and Georgetti to inform viewers of the latest happenings, special events, and more. 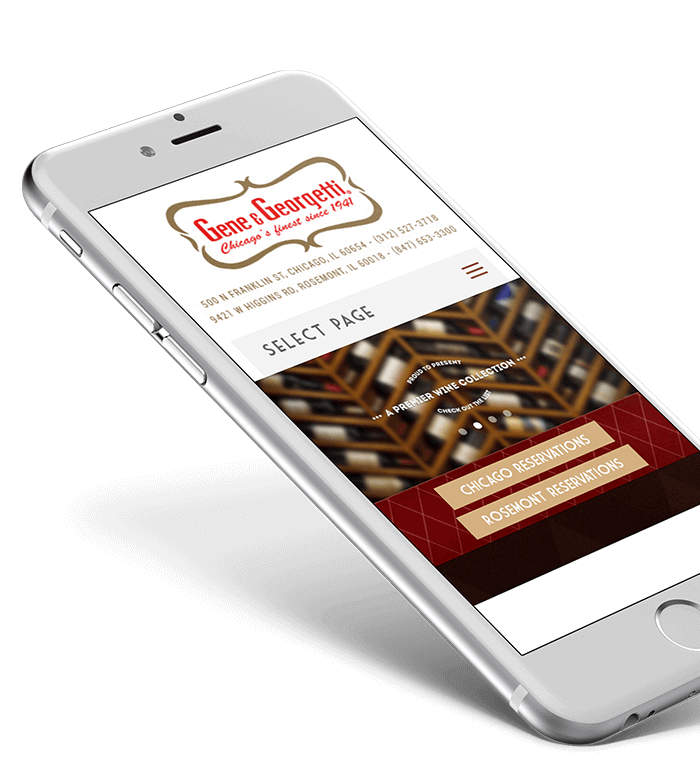 The new responsive website design fully encapsulates Gene and Georgetti and provides visitors with all of the information they need, from checking out the menu to making a reservation and learning about why Chicago loves this steakhouse. 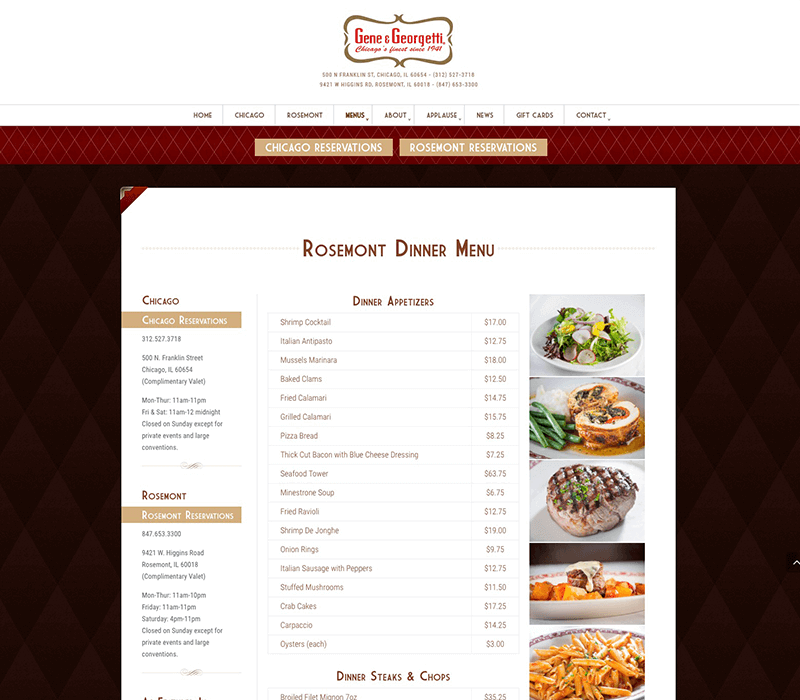 The engaging home page image slider and a multitude of pages filled with readworthy content caters to all audiences, from the restaurant’s regular patrons, to tourists looking to plan a meal while in the windy city!